Caliber Point Walkin Drive in Chennai From 14th March to 30th April 2014. 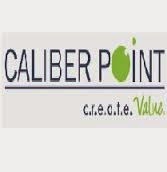 Caliber Point Walkin Drive For Associate/Senior Associate Position.Freshers and Exp candidates are eligible for this walk in drive.Associate/Senior Associate. Caliber Point Recruitment Drive in Chennai. Interested candidates walk in to below mentioned address. Caliber Point Business Solutions Ltd. is the wholly owned BPO subsidiary of Hexaware Technologies Ltd. We are currently staffed at 1500+ people across Navi Mumbai (Mahape) Chennai, Nagpur and US. Ranked 15th in the NASSCOM Top 20 IT Software & Services Exporters from India, we also rank among the Top 20 Best IT employers in India by DQ-IDC for four years in a row. Caliber Point leverages on a strong technology legacy from its parent organization. Our core expertise areas include Human Resources Outsourcing (HRO), Healthcare, Finance & Accounting Outsourcing (FAO), and Knowledge Services. In these areas we service our customers in North America, Europe and Asia by providing them front and back office solutions through Transaction Processing, Documents Management, Voice Processes, Transition Management, and Consulting services on Shared Service Center set-up and business case development.